Sheffield Study Tour 2013: Now marks roughly the halfway point of the Sheffield study tour..
Now marks roughly the halfway point of the Sheffield study tour..
We’ve spent one working week and one weekend here. 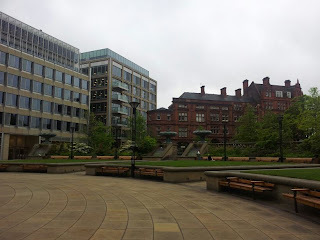 On the whole I view Sheffield as a sophisticated and exciting, yet modest and approachable place. I’m a lover of local radio, and find it provides some real insights into local views and values. For much of the study tour’s initial stages, I was pacing myself and just took it in bit by bit. I didn’t make it a mission to explore the city; rather I wanted to familiarise myself slowly. Yet, a trip with my project group into town revealed some fantastic sites. The Peace Garden is a favourite, with its beautiful lawns and the surrounding contrast of old and new buildings. 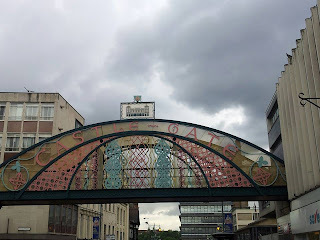 Another favourite part of Sheffield for me, is the Castle Market. I loved this marketplace on sight; all of the stalls have a huge range and everything is economical. The stall-holders are also very friendly. 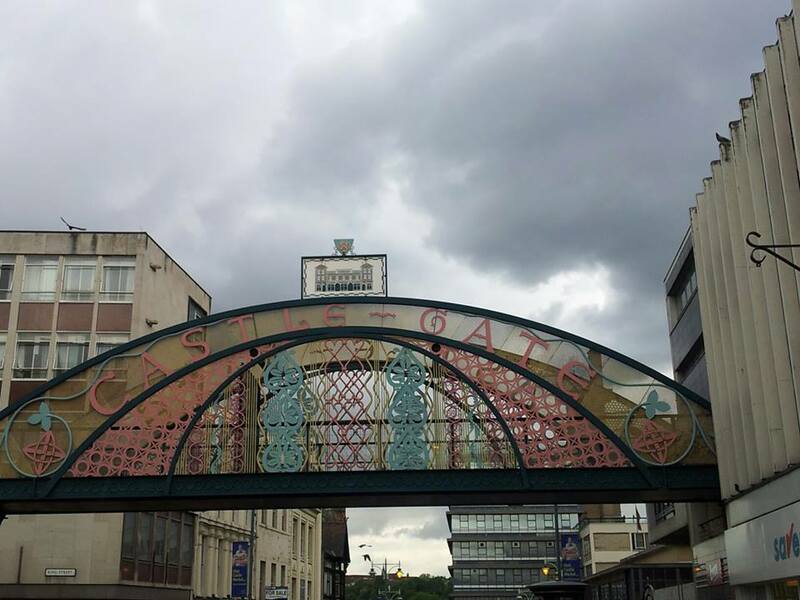 Two large, arch-style signs signify Castle Market and Castle Gate. Another author online commented that these signs now look dated, and the whole area has a sense of being neglected. I don’t perceive this: to me, the colourful signs seem to encourage pride in this unique part of Sheffield city centre. On seeing them I was sure I had come to an authentic place, with a sense of something ‘real’ and tough, resilient people. Melbourne seems to face some similar issues to Sheffield; old manufacturing hubs are generally dis-used now, and futuristic structures are taking the place of traditional ones. In Melbourne this is a source of depression for many of us: the past is disintegrating and the future is an uncertain void, marked by the de-humanising features of pervasive technology and modern architecture. 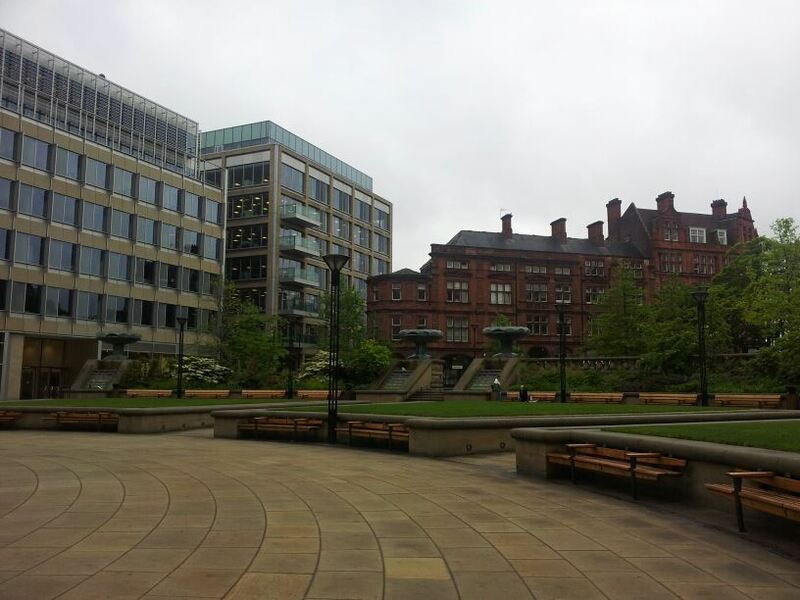 However, Sheffield shows how a city can successfully integrate its past and future. It is both comforting and exciting to think that another city has faced the same themes and dealt with them in a positive, edifying way. On Saturday of this weekend I took the tram out to Hillsborough, back through town and out towards Halfway. I ended up in Spring Lane. This and a quieter part of the city, close to the uni accommodation are both picturesque places. I also took the tram to Meadowhall, which is a pleasant and well laid-out shopping centre. I understand that there is some tension between Meadowhall and the city centre, as the former is viewed as sucking business out of the city centre. It seems to me though, that both of these places would attract different groups of people at different times. It is invaluable to have plenty of retail in the city centre, as it takes some time to get to Meadowhall and it has an overall different ‘vibe’ from the city centre’s Fargate retail hub. Finally – I’m tempted to transfer into Urban Planning studies. This opportunity to make sense of the built environment has been invaluable; it has provided me with a lens through which to understand many contemporary issues. I agree with you, both of these places are more attractive and good for enjoy. No doubt, baffle preoccupations are so captivating and it is one of the memories of the adolescent and assignment writing australia provides well task. I basically played this kind of the diversion just with my buddies and it was so incredible time. Thankful to you for offer this great blog and fill my heart with bliss.